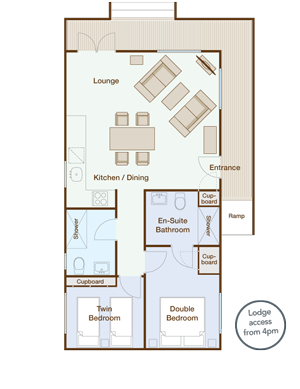 One double bedroom with en-suite shower room, and one twin bedroom. Additional main bathroom with shower (no bath). 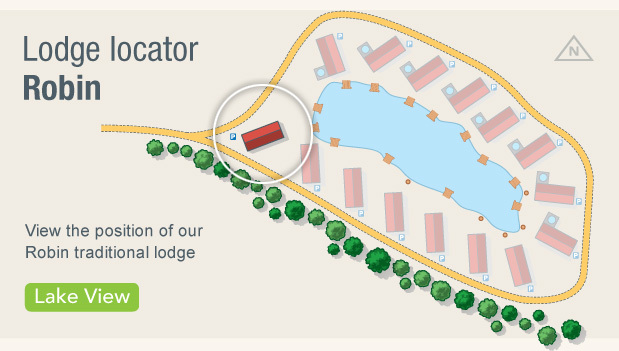 Download our Robin Lodge Layout & Location PDF.